The black separatist and Moorish sovereign citizen extremist movements have common ideologies, tactics, and targets and have recently reacted violently to perceived incidents of police brutality. As a result, law enforcement and government officials have become principal targets of these overlapping movements. Nationally, individuals have claimed affiliation with black separatist and Moorish sovereign citizen extremist groups. These “blended extremists”—individuals who draw ideological and tactical inspiration from multiple extremist groups—present a unique threat. In New Jersey, there are no known individuals subscribing to both groups’ ideologies; however, both groups have active local chapters and members who have previously engaged in criminal activity. In September 2015, Olajuwon Ali Davis was sentenced to seven years in prison for plotting to attack the police chief of Ferguson, Missouri, the county prosecutor, a police station, a police vehicle, and the Gateway Arch. The plot, which occurred in November 2014, was in response to the killing of an unarmed teenager, Michael Brown, by a Ferguson police officer. Davis was the St. Louis New Black Panther Party (NBPP) leader and a Moorish National. 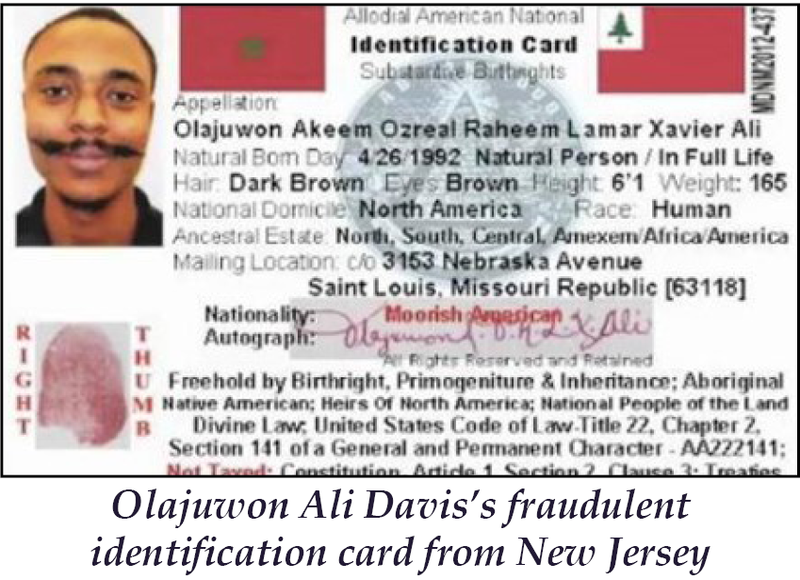 In 2013, Davis attempted to use a fraudulent identification card that came from a New Jersey-based Moor­ish sovereign citizen group. He also posted a YouTube video self-identifying as a “Moorish-American” and provided instructions on how to avoid paying taxes. 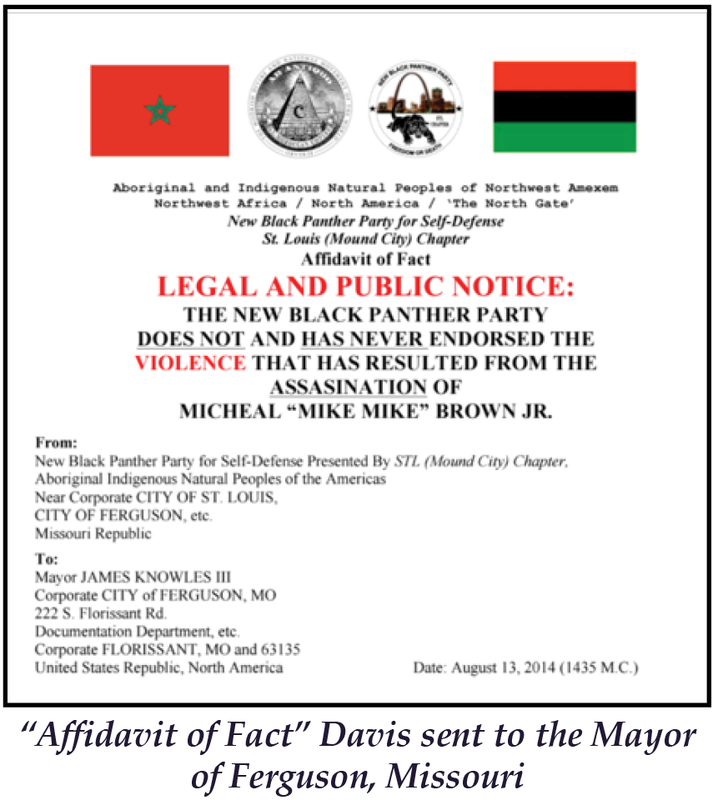 Prior to his arrest, Davis combined ideologies and wrote an “Affidavit of Fact”—a document Moorish sovereign citizens commonly use—to the Ferguson Mayor from the NBPP.